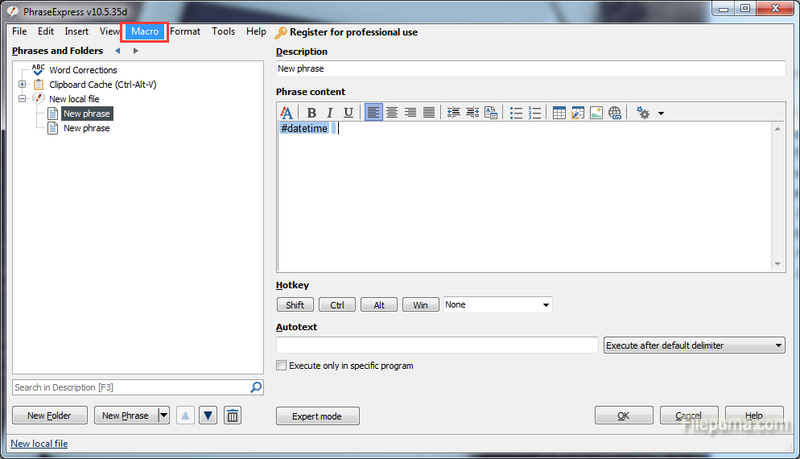 PhraseExpress eliminates repetitive typing and manages frequently used text snippets in customizable categories. Boilerplate templates can be stored together with bitmaps and RTF or HTML text formatting. The unique text prediction feature watches out for repetitive text patterns and offers to auto-complete such phrases. 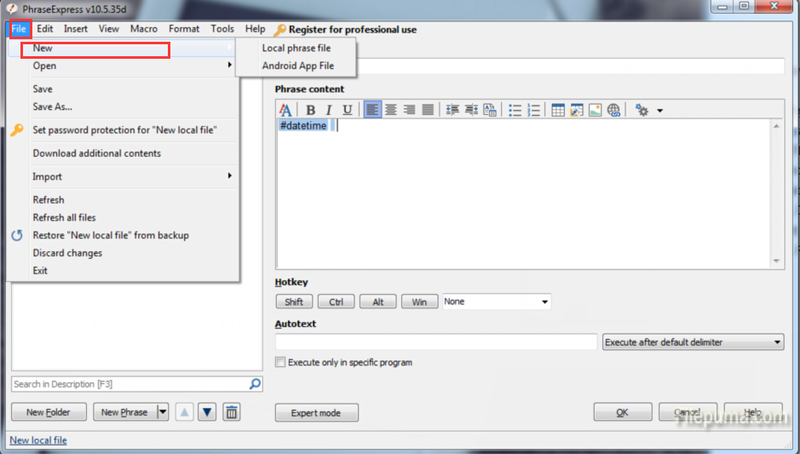 Here is the instruction to let you know how to insert a date stamp with PhraseExpress as you like. 2. Run PhraseExpress program. Click “File—-New” to set up a new phrase. 3. Please click on “Macro” on the top of windows. 4. 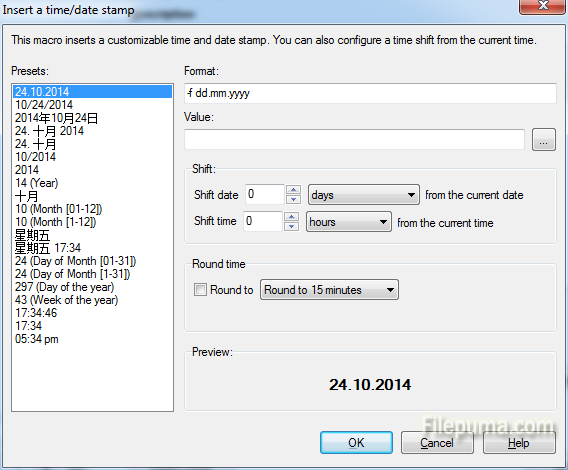 Get to “Date/Time”, you can insert current time or date, or insert formatted date/ time. 5. 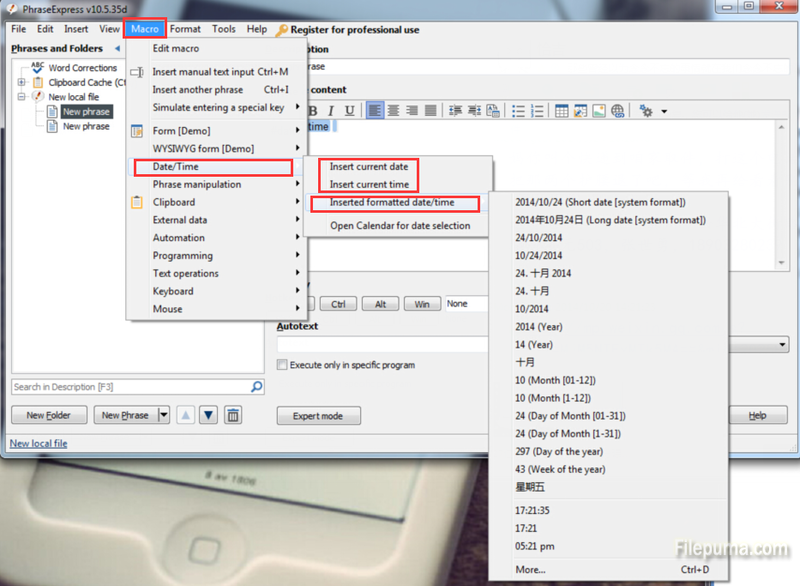 Click “More” to set the date/time format as you want in a new window.